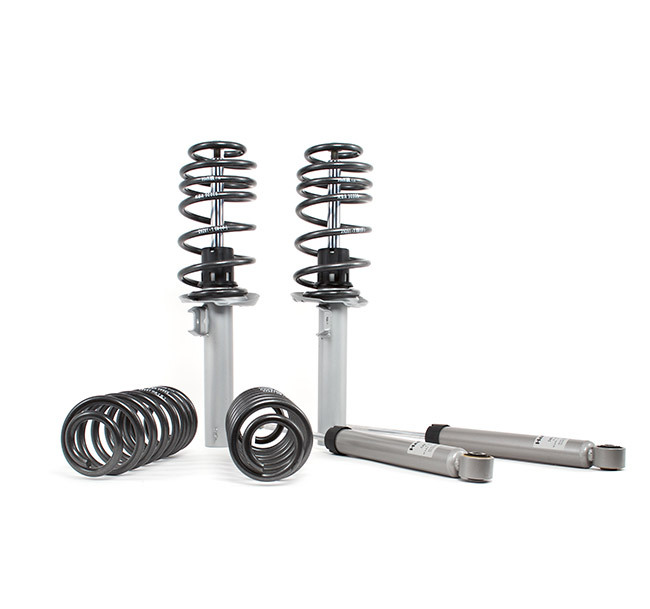 Touring Cup Kits are H&R's most popular spring and shock system. This kit is perfectly suited for those who desire lowering, improved ride comfort, and performance . Enhance the look of your vehicle with a reduced fender well gap. Lower the center of gravity and reduce body roll for better handling. The progressive spring rate design provides superb ride quality and comfort. A lower wind resistance signature will make the vehicle more streamlined and improve gas mileage. Achieve all-around, better control with H&R shocks suspension damping.